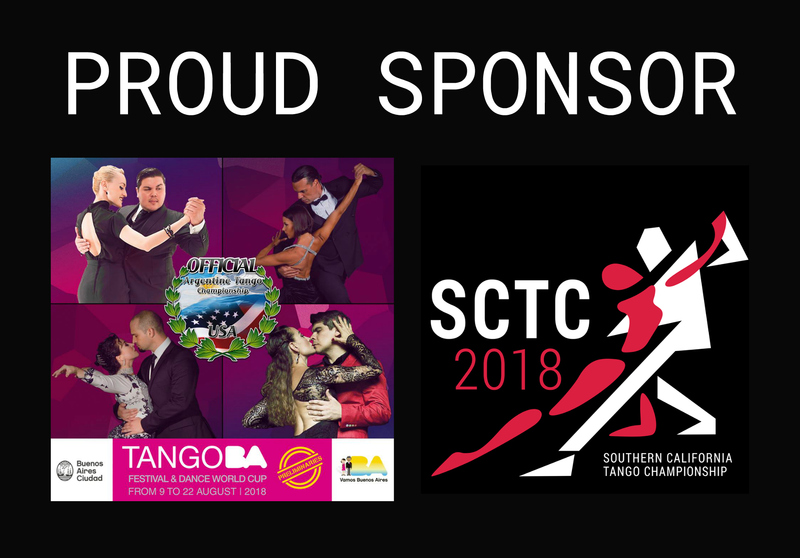 Our Commitment To Argentine Tango Keeps Growing! Sunny California is home to a few National Tango Championships each year. As a result, hundreds of Argentine Tango participants, flock to compete, woe the audience and impress the judges with their best skills and choreographies. To help promote these events, we’ll help create the buzz this year as a proud Sponsor for ATUSA and SCTC! This is our 2nd year as a Private Sponsor for Prize Categories. We’ll also be participating as a clothing Vendor for the 3rd year! Our new Performance dresses and Signature Spring Collection of Reversible dresses will be showcased Exclusively at this event. Remember that Custom Orders are always welcomed! Stop by our booth and get your measurements taken (no purchase necessary). This is our 2nd year as a Sponsor for Prize Categories. We won’t be participating as a vendor at SCTC but check out our Facebook Page for local Milongas. We’ll have new arrivals trickling in! Our Tango With Love Studio will also be in full service for private shopping. Come by and check out our current Argentine Tango dresses in stock! Have you Subscribed to our website? Don’t miss the Tango buzz and sign up for updates on these and future Tango Events!